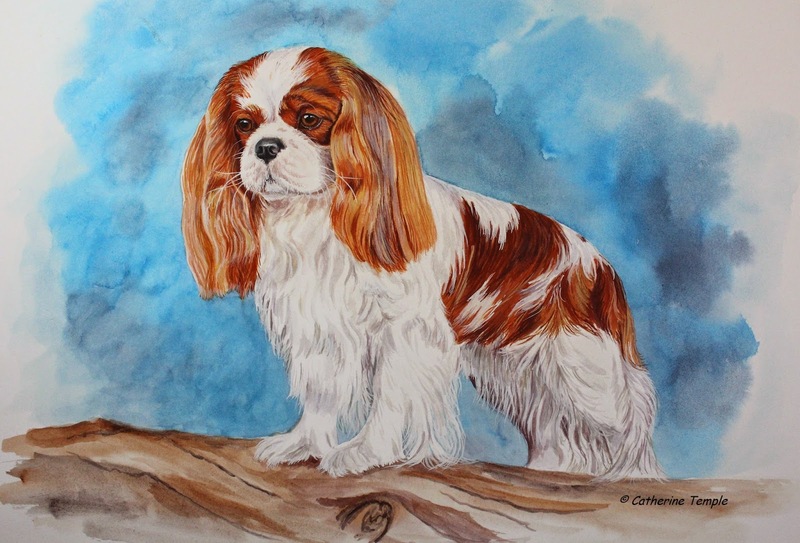 Apollo-Cavalier King Charles Spaniel-watercolor 11" x 14"
Just finished this little guy. His name is Apollo and he's a Cavalier King Charles spaniel belonging to one of my collectors. Apollo is the fourth champion that I have done for this client. Cavaliers are considered a toy breed with a lovely, long coat and friendly temperament. They love a lot of attention, make excellent lap dogs and are generally good with children and adults. They are also very adaptable and are at home in the city or the country. 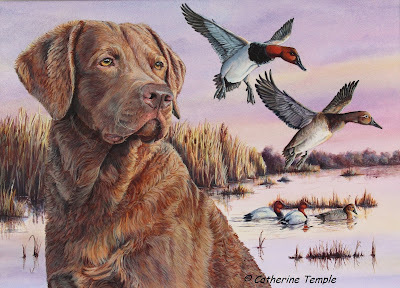 This portrait was done in watercolor and gouache and the reference was provided by Betty from Dart Dog Portraits. Betty does some outstanding photography at many of the dog shows in the Northwest. You can find her at www.dartdog.net. 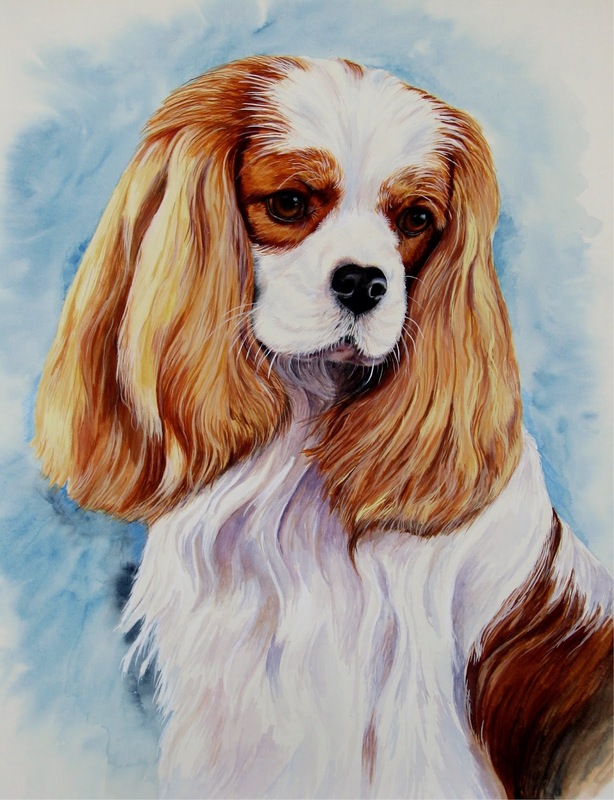 You can see and read about one of the other Cavaliers I've painted here. And here is the one that started it all....Teddy. Thanks again to Tom for trusting me with another of his gorgeous dogs!